Nachurs Alpine Solutions is a liquid chemical manufacturer and a market leader in the manufacture and distribution of high quality industrial products. They operate 36 plants and distribution depots with facilities spread across the U.S. and Canada. Nachurs Alpine provides premium quality liquid fertilizer solutions and chemical products to a range of industries, from agricultural customers to businesses in the oil and gas sector. They are one of the largest manufacturers of liquid fertilizer in North America, experiencing 400% growth in the past five years. A company of this size and reach required a phone system to support its diverse, North American business operations. Previously, Nachurs Alpine received service from Verizon. Unfortunately, they regularly experienced bounced calls, one way calls, choppy audio, and static. For the staff at Nachurs Alpine Solutions, picking up the phone did not necessarily guarantee a dial tone. As an industry leader, this was unacceptable. Despite Verizon’s presence as a major carrier, Nachurs Alpine found that they were unable to meet their quality and service requirements. The unreliable call quality Nachurs experienced was coupled with poor customer service. The people at Nachurs Alpine were frustrated that a major carrier was not delivering the level of service they deserved. All Nachurs could do was dial a generic support 800 number and speak to a customer service representative in a call center. There was no escalation path to Verizon management that they could pursue in the event their problem was not resolved. 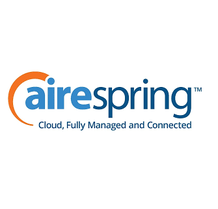 - AireSpring was able to cut Nachurs Alpine’s phone bill by nearly 50%.